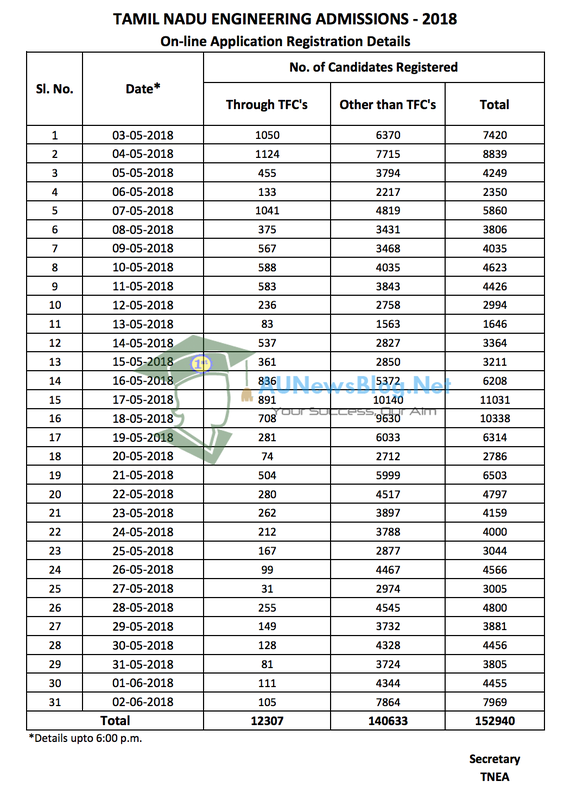 Tamil Nadu Engineering Admission 2018 online application registration closed on June 02, 2018. Certificate verification process will start after June 08, 2018. 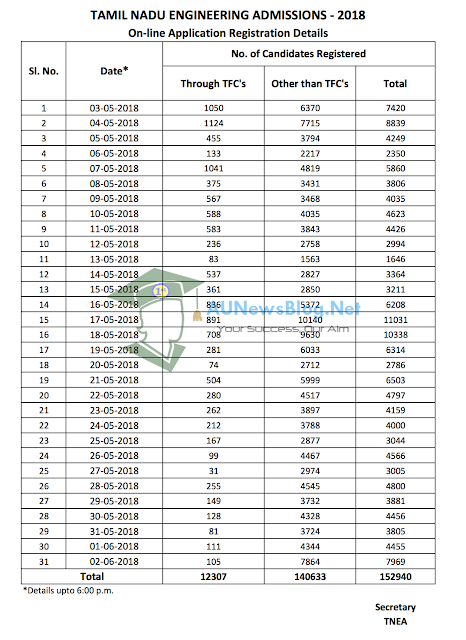 Total 1,52,940 students registered for Anna University TNEA 2018 Engineering Counselling through online. Full Registration details shared below.